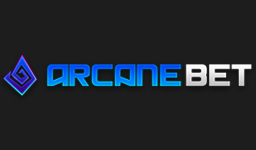 Create your own eSport odds and take fate into your own hands! Decide your profits by betting against other players in an awesome betting exchange or bet traditionally and find plenty of match odds on CS:GO and LoL. Download an amazing mobile app to never miss a golden betting opportunity and find a 24/7 chat support available whenever you’re in need of assistance! Switch up your betting with a wide selection of different gambling products and try out Betfair exclusive exchange games! 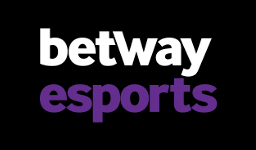 Take a trip to Betfair and explore their world of eSport gambling or continue reading the full review below to find out everything there is to know! 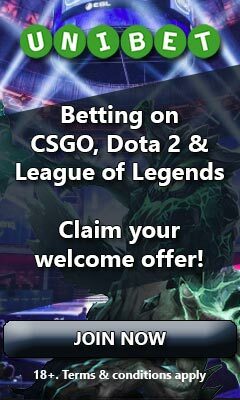 In difference to some other eSport betting sites, you can be sure to find a welcome offer at Betfair no matter what part of the world you’re coming from. This can be anything from a 100% deposit bonus up to €100, to a bundle of five free bets that are worth €20 each and released every time that you place a bet of at least €10. As the welcome bonus is different depending on the country you’re from, we unfortunately haven’t been able to list them all in an efficient manner, but the best way to find out what’s in store for you is to simply visit Betfair by clicking the button below. We are however pleased to tell you that the wagering requirements for most, if not all of the bonuses are quite low, which means that there’s good value in taking part of them! When it comes to traditional sports betting, Betfair is generally speaking a definite choice as they offer odds on a wide range of sports, matches and have plenty of different betting markets to choose from. Unfortunately for eSports the selection is not nearly as good. If you’re looking to bet on CS:GO or League of Legends and are happy with just betting on the winner of the match, you’ll probably be satisfied. There are odds on plenty of matches going down in these games. If you on the other hand would like a wider variety of markets to choose from or you’re a fan of any other game, Betfair can be a bit of a wild card. We have seen them offer odds on seven different eSport games and occasionally there are a few different betting markets to choose from, but what is offered can really vary a lot. However, a big plus with eSports at Betfair is their so called “betting exchange”. This allows you to bet at odds set by yourself or by other players, instead of the odds that Betfair sets. All you need to do is to create the odds you would like to wager money on, as well as the odds for the opposite selection and hope that someone will bet against you. Alternatively you can choose from a selection of odds set by other players and bet on those that you think are advantagous for you. This is a really nice feature that can greatly improve the betting experience as it’s both fun and rewarding. When it comes to the processing of withdrawals, these differ depending on your chosen cash out method. For cash out methods such as Visa or Mastercard, withdrawals are processed around 9 pm CET every day. There is however a 12 hour delay to them. This means that if you made your withdrawal at 8 am in the morning, it would most likely be processed at 9 pm in the evening (13 hours later). If you on the other hand made the withdrawal at 11 am, it would most likely not be processed until 9 pm the day after (34 hours later). For credit card withdrawals the transcation time to your bank account is 2-5 working days. By cashing out with an e-Wallet, such as Skrill or Neteller your withdrawal will usually be processed within 24 hours no matter what time of the day you requested it. Once processed the transaction time is instant, which makes this method the fastest way of cashing out from Betfair. Another popular and fast option is the Betfair Express Bank Transfer. Just like e-Wallets cash outs made by this method are processed witin 24 hours and the transaction time is no longer than a working day. When it comes to settling of bets, these are usually settled instantly after the match has finished, regardless of being a live or pre-match bet. Some obscure matches may take a bit longer to settle and unfortunately eSports betting could fall within this category. If you’re looking for other gambling products than just eSport betting, Betfair got you pretty well covered. They offer around 550 different casino games, including slots, tables games, video pokers, an authentic live casino experience and a bunch of amusing arcade games. It’s not the most packed casino in the world, but there’s a nice variety of fun and they offer a lot of games that are not that commonly seen. They do for instance have something called exchange games, which is completely unique to Betfair. With these you can play Blackjack, Casino Hold’em, Roulette and a bunch of other games and take the roll as the dealer, which is truly one of a kind experience. 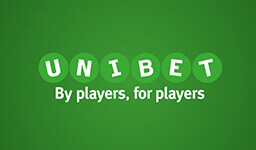 In addition to all of this, Betfair also offers plenty of bingo rooms, a nice selection of virtual sports and online poker within the iPoker network, which always means guaranteed action. Argentina, Australia, Austria, Bosnia, Brazil, Denmark, Finland, Germany, Iceland, Indonesia, Ireland, Italy, Malaysia, Netherlands, Nigeria, Norway, Russia, Spain, Sweden, Switzerland, UAE, UK, Ukraine. Canada, China, Cuba ,DR Congo, Eritrea, France, Greece, Greenland, India, Iran, Iraq, Israel, Ivory Coast, Japan, Lebanon, Libya, N. Korea, Philippines, Poland, Portugal, S. Africa, Somalia, Sudan, Turkey, USA.